How fast does the wheel wear? 100% = Indestructable! How much Grip? 100% = Very Grippy! High Roll Speed for that flying feeling. 100% = SuperFast! How easy is the wheel to slide? 100% = Very Slidey! The ultimate freeride urethane, designed especially for advanced sliders. Neurothane plugs directly into the nervous system and acts as a sixth sense, directly inputting road surface information to the skater’s subconsciousness. 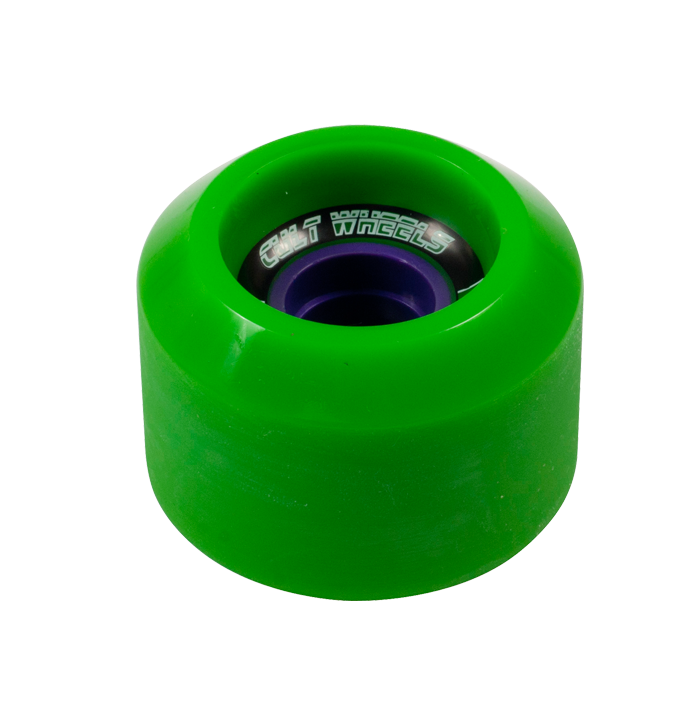 This urethane releases grip like a soft wheel, but once sliding it feels like a hard wheel. Very hard wearing and highly addictive, side effects may include a mild babbling and extreme disconnection with non-skateboarding reality.